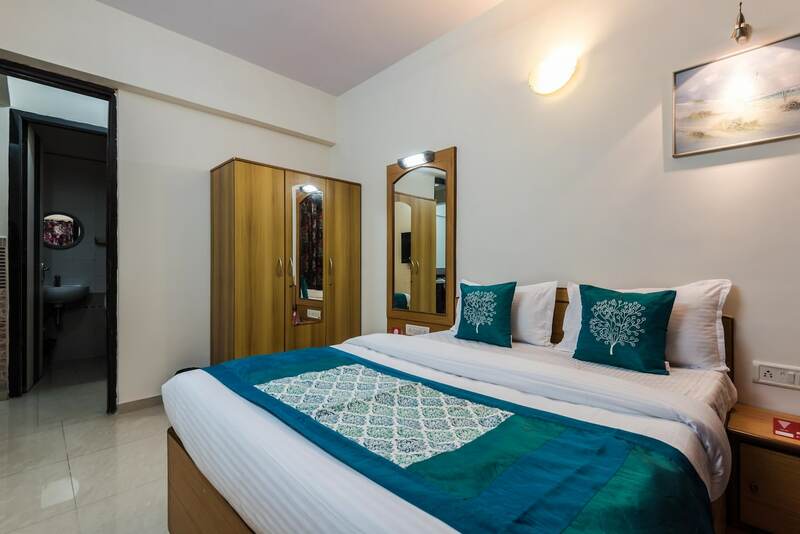 Located at a short driving distance from Powai and Heeranandani, Apartment Kanjurmarg offers a comfortable stay for the guests visiting Mumbai. The bedrooms at the apartment have light colored walls and dark woof furnishings, lending the rooms a relaxing ambience. The apartment has free Wi-Fi which the guests can use to remain in contact with the social world and not miss out on any important update. Other amenities available at the apartment are a seating area, a geyser, an elevator and CCTV cameras that ensure a safe environment for the guests to stay in. Mumbai metro connecting Ghatkopar and Andheri is easily accessible. Guests can also visit Malvan Samudra to try some delicious seafood.